“Don’t automate what you don’t yet understand” is one of the best pieces of software development advice anyone has ever given me. When tackling a new problem, you will often follow the same general process. First, you dive deep into the problem and understand the requirements. Next, you identify what tools can help you solve it and build out a proof-of-concept. Lastly, you fully automate your solution. In my opinion, achieving automation is a strong demonstration that you’ve developed expertise in how to build a solution, and AWS Healthcare Competency Partner Cloudticity is an expert in building healthcare solutions. Cloudticity builds, migrates, and manages HIPAA workloads exclusively on AWS. In addition to its Healthcare Competency, Cloudticity has also demonstrated proficiency in DevOps and Managed Services on AWS, achieving the AWS DevOps Competency and becoming an AWS Managed Service Provider as well. By focusing heavily on automation, Cloudticity has been able to scale their customer base at a much faster rate than their team size, while continuing to remain laser-focused on the customer experience. When building healthcare solutions, you must remain compliant with governmental regulations and protecting health information is always of utmost importance. Cloudticity dove deep with each of their customers, and they realized that the solutions they implemented for each of their customers all followed the same best practices in security, reliability, performance efficiency, cost optimization, and operational excellence (please see our Well-Architected Framework for more information). “Our core perspective changed from ‘How do I solve this customer problem?’ to ‘How do I create a tool to solve this customer problem?’”, says Gerry. From this, the company’s managed services platform, Cloudticity Oxygen™, was born. In diving deep with them, I was particularly struck by how they weave together solutions from many of our ISVs such as New Relic APM, Trend Micro Deep Security, and CloudCheckr, with native AWS services like AWS CloudFormation, Amazon API Gateway, and AWS Config to deliver a fully automated end-to-end managed services platform for healthcare. Cloudticity says that they have a rigorous vendor selection process to ensure that only technologies that raise the bar on the customer experience are a part of their Oxygen platform. By automating the principles of DevSecOps in the AWS Cloud, Cloudticity has built in traceability and auditability into every part of their solution. Treating everything (both software and infrastructure) as code, Cloudticity has been able to move towards a goal of continuous compliance. Cloudticity’s solution is designed so that every code check-in is automatically logged, tested, and traced, so they are able to consistently monitor whether they are meeting the guidelines set forth in HIPAA regulations. One of the company’s customers, Valant, partnered with Cloudticity to build a fully automated deployment system. Separating builds from deployments is fundamental to software best practices, and this segregation of duties is required when managing healthcare information. Cloudticity leveraged AWS services such as Amazon S3, AWS Lambda, Amazon Kinesis, Amazon DynamoDB, and Amazon EC2 Systems Manager, coupled with third party tools like Chef and Jenkins, to fully automate the deployment process while enforcing the principle that developers who write the code do not also deploy to production. Orchestration: The launch of AWS Step Functions to orchestrate complex Lambda-based workflows will enable further automation of complex requirements such as flexible maintenance windows. Business Intelligence and Decision Support: The addition of Amazon Athena coupled with Amazon QuickSight will allow Cloudticity’s customers to visualize their log data and derive additional insight from their data sources. Integrating Machine Learning capabilities into Cloudticity Oxygen will allow for smarter decision making for their customers. Customer Service and Communication: Cloudticity plans to use Amazon Lex to enhance integration with tools like Slack by adding natural language processing to Cloudticity Oxygen. By no longer needing to memorize complex commands and parameters, both customers and Cloudticity employees can more easily interact with the Oxygen platform. Automation is the key to remaining both agile and compliant in regulated industries like healthcare. Cloudticity’s understanding of the technology and processes required to securely manage HIPAA workloads on AWS is reflected in their customer satisfaction in the payer and provider spaces. Their culture of responsibility helps ensure customers like Spectrum Health are able to build agile customer solutions while protecting patients’ health information. The Cloudticity team feels its relationship with AWS is helping change patients’ lives for the better. Just last week we published a case study on Cloudticity and the company’s journey as an APN Partner. Check it out here. 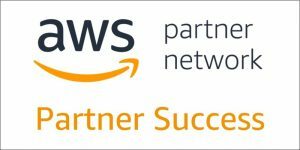 If you’re interested in learning more about how AWS can add agility and innovation to your healthcare and life sciences solutions be sure to check out our Cloud Computing in Healthcare page. Also, don’t forget to learn more about both our Healthcare and Life Sciences Competency Partners and how they can help differentiate your business. Will you be at HIMSS? Be sure to stop by our booth #6969! We’d love to meet with you. The content and opinions in this blog are those of the author and is not an endorsement of the third-party product. AWS is not responsible for the content or accuracy of this post. This blog is intended for informational purposes and not for the purpose of providing legal advice.